National, 2nd April, 2019: GOQii, India’s leading preventive healthcare company recently launched the fifth edition of its ‘India Fit Report 2019’, according to which Bengaluru is India’s healthiest city followed by Delhi in the second place. In terms of step count, Mumbai tops the list as the most active city mainly by engaging in activities like walking and running. The average daily step count of Mumbai is 7,294 steps. 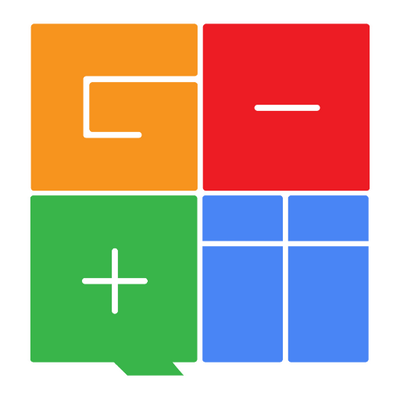 The report is a result of a year-long study of more than 700,000 GOQii users across 8 key cities and several parameters such as steps taken, lifestyle diseases (Diabetes, Cardiac and Hypertension), BMI (Body Mass Index), nutrition, water, stress, sleep, gut health and immunity among others. These are further classified according to gender and also 3 parameters of pollution namely – air, water and food as well and found that Pune emerges as the most liveable city in India. Bengalureans are at the forefront of leading a healthy lifestyle. Data indicates that they are the most rested, getting the longest amount of sleep in comparison to other cities at 6 hours 56 minutes on an average every day. Owing to healthy habits of being active, getting enough sleep and consuming enough water, Bengaluru has held on to its top ranking. Mumbai, though does not top the list of being healthy overall, it is still on top of being an active city. The average daily step count of Mumbai is 7,294 steps. Mumbai stays active mainly by engaging in activities like walking and running. Across India, walking has seen a gradual increase in all the cities; from an earlier 22% it has grown to 33%. Taking this positive statistic one step further, GOQii recently announced ‘India Steps Challenge’ – a first-of-its-kind 100-day nationwide challenge with an aim to encourage Indians to walk more and shift towards a healthier lifestyle. Since the 22nd of February, Andhra Pradesh is leading the challenge by clocking in an average of 7,607 average steps a day followed by Tamil Nadu that clocks in an average step count of 7,535. Kerala is at #3 with 7,430 avg. steps and Karnataka at #4 with 7,426 average steps per day. Founded in 2014 by serial entrepreneur Vishal Gondal, GOQii is empowering consumers globally to lead healthier and better lives. GOQii’s smart tech-enabled healthcare platform brings together the entire preventive healthcare ecosystem. Its Smart Health Ecosystem integrates tools for real-time personalized coaching, an explosive high-growth Health e-commerce store, scheduling health check-ups, a health locker, and a unique ‘GOQii Cash’ program where healthy behaviour is also rewarded with cash discounts and insurance discounts based on health management data. Given the state of ‘Sickcare’ delivery infrastructure in India, the company strongly believes that preventive healthcare is the only viable, long-term, mass-market solution. GOQii counts marquee investors like Mitsui, NEA, Megadelta, DSG Consumer Partners, Galaxy Digital, Denlow Investment Trust, Edelweiss, Cheetah Mobile, GWC, Mr Ratan Tata and Mr Vijay Shekhar Sharma.